Hello all. Please continue your conversations here. 1st Trailer of Joker Game movie is up on its official page. KAT-TUN no Sekaiichii Tame ni Naru Tabi (Part 4) in Kumamoto (KAT-TUN to Exterminate Wasps Outbreak and Visit Jigoku Onsen). The episode will air on 10/3. First look of them at the onsen. ldgchiaki, Thanks for all the updates. I enjoy them immensely. BTW - if the mods "delete" the previous pages, will all pics be lost and we no longer have access to your posts? Hope it is archived and not deleted. I enjoy looking at old posts occasionally. Either way, thanks for all your efforts. That's what I understood Pinkporca. I got my old posts saved somewhere, but it's not the same with having them here. I guess, like Di@na said, let's start anew with this thread. They showed Joker Game movie 1st trailer during Shuichi. * Nakamaru was asked about Kame's situation during the filming period. 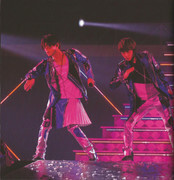 Nakamaru said now that he recalled, Kame did learn how to disassemble a gun during his work at the time. Just like a spy. I remembered Kame used to bring his bat everywhere when he was practising for his Home Run project. 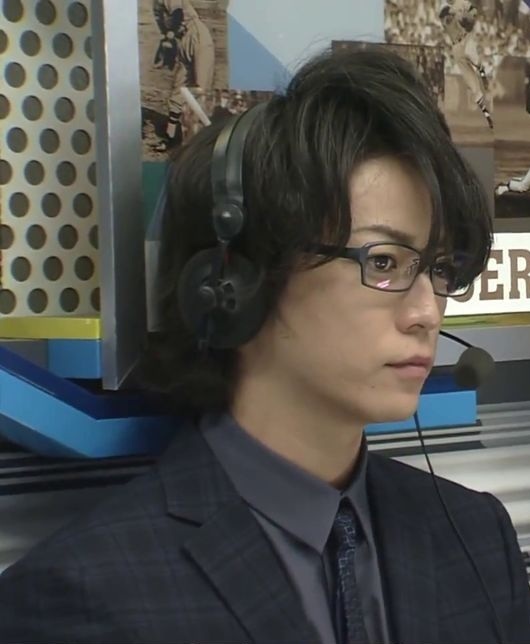 Kame appeared live on Dramatic Game 1844. During NTV's program "Gyōretsu no Dekiru Hōritsu Sōdanjo", Yamada Ryosuke appeared as a guest to promote his drama, Kindaichi Neo. 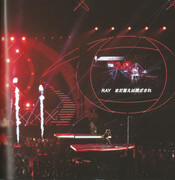 They showed pictures of previous generation of Kindaichi, and Kame's (3rd Kindaichi) was included. Then, appearing live on Going! 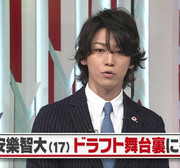 They showed a picture of Kame in 2006 when he has his Coming of Age ceremony. * Part 1 in Aomori on 1/10. * Part 2 in Okinawa on 4/18. * Part 3 in Hokkaido on 7/11. Part 4 will air on 10/3. On 9/16, they opened an official twitter account for the program at link below. They said a Home Page will be following soon Cool~! 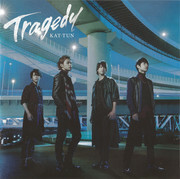 * Their latest achievement of 8th Consecutive No.1 Album on Oricon Weekly Album Chart via their album "come Here". * Their national tour KAT-TUN Live Tour 2014 "come Here" which have 2 more venue on their schedules (Yoyogi and Kyocera Dome). 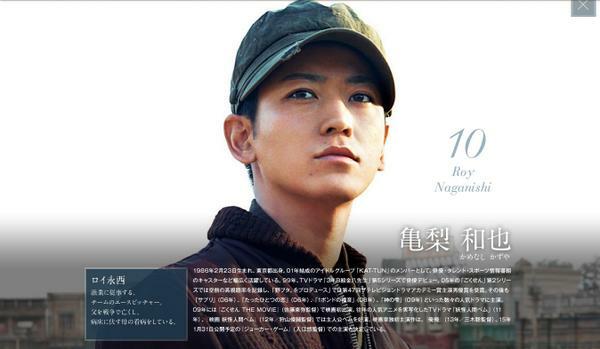 PIA Movie Special Magazine 2014 Autumn Issue out on 9/17 has the announcement on Vancouver no Asahi Japan Premiere. 5-sets (10-persons) of tickets offered via this magazine. Cast / Staff greetings are scheduled. Details as below. 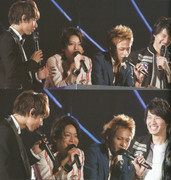 Then we have Shounen Club Premium Episode 6 with KAT-TUN as MC, aired on 9/17. Click on thumbnail pictures to view their actual size. First, we have Premium Talk and History with Domoto Koichi from Kinki Kids. Then, Adult School Trip with Kame and Nakamaru enjoying some canoeing and onsen. 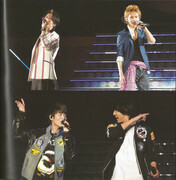 Lastly, KAT-TUN Premium Show where they performed a few of their old songs which never released on CD. Kame went to Vancouver on 9/30 Japan time, for the world premiere of Vancouver no Asahi at 33rd Vancouver International Film Festival. A video footage on the screening can be watched at links below. A few reports on the event come with lovely pictures. More pictures at the festival facebook account. A few more video clips of Kame at the world premiere of Vancouver no Asahi at 33rd Vancouver International Film Festival. This time, it's uploaded by Life Vancouver. Kame from DUET Magazine 2014-11 Issue out on 10/7. Kame from POTATO Magazine 2014-11 Issue out on 10/7. 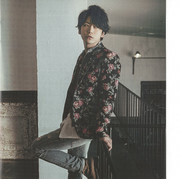 Kame from Only Star Magazine 2014/10/20 No.39-1757 Issue out on 10/10. Vancouver no Asahi takes People’s Choice Award at 33rd Vancouver Internationa Film Festival. After World Premiere of the movie at 33rd VIFF, we have various screenings to look forward to. 1- World Premiere at 33rd VIFF 2014 in Vancouver on 9/29 @ 6.30pm Local Time. 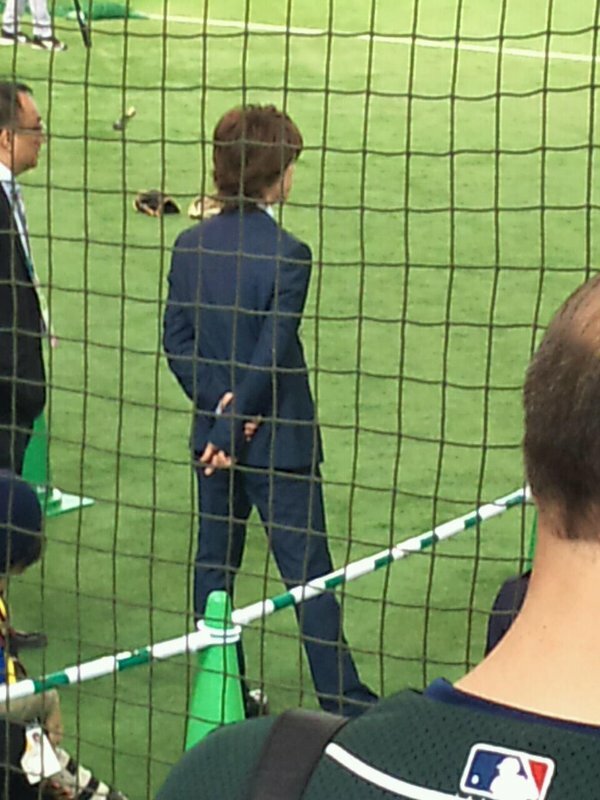 Attended by Kame. 2- Subsequent screenings at 33rd VIFF 2014 in Vancouver on 10/4 @ 2.30pm , 10/9 @ 3.30pm and 10/10 @ 1.00pm Local Time. 3- Japan Premiere at Tokyo Dome City Hall on 10/15 @ 6.30pm. Casts/Staffs Greetings are Scheduled. 4- United States Premiere at 34th HIFF 2014 in Hawaii on 10/30 @ 8.00pm Local Time. 5- West Coast Premiere at 15th SDAFF 2014 in San Diego on 11/7 @ 6.20pm and 11/9 @ 6.00pm Local Time. 6- Asia Premiere at 51st TGHFF 2014 in Taipei on 11/15 @ 12.50pm and 11/16 @ 11.20pm Local Time. Filmmaker in attendance. It comes with Chinese subtitles. 7- Screening at 18th JFF 2014 in Sydney on 11/23 @ 6.30pm Local Time. 8- Screening at 18th JFF 2014 in Melbourne on 12/7 (not confirm yet). 9- Release at cinemas nationwide in Japan on 12/20. 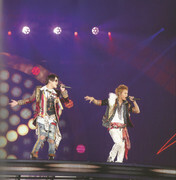 ok, I went to KAT-TUN concert on 27 Sep at Yoyogi! Kame at Japan Premiere of Vancouver no Asahi on 10/15. This's shown during a lot of TV programs on 10/16. Baseball programs schedule for Kame for the next couple of days. Games on 10/19 and 10/20 depend on the outcome of 10/18 game. Vancouver no Asahi poster, signed by Kame, placed at Johnny's Family Club. Kame from WINK-UP Magazine 2014-11 Issue out on 10/7. 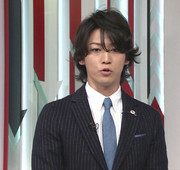 Kame during 10/18 DG1844 broadcast. 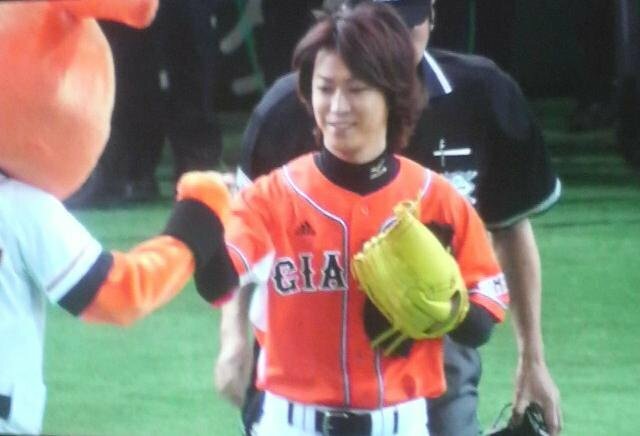 Kame during 10/19 Going! broadcast. 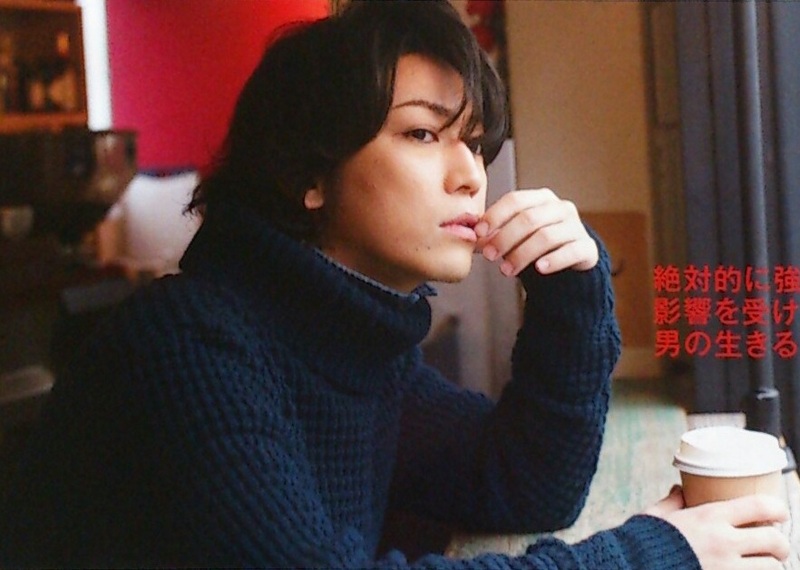 Kame from MAQUIA 2014-12 Issue out on 10/23. New pictures from Joker Game movie on their official site. Updated on 10/25. No Kame's pictures here though. The movie will be in cinemas in Japan on 2015/1/31. 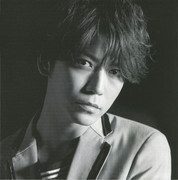 Kame's pictures included in Nihon Eiga Magazine Vol.46 Issue released on 10/25. 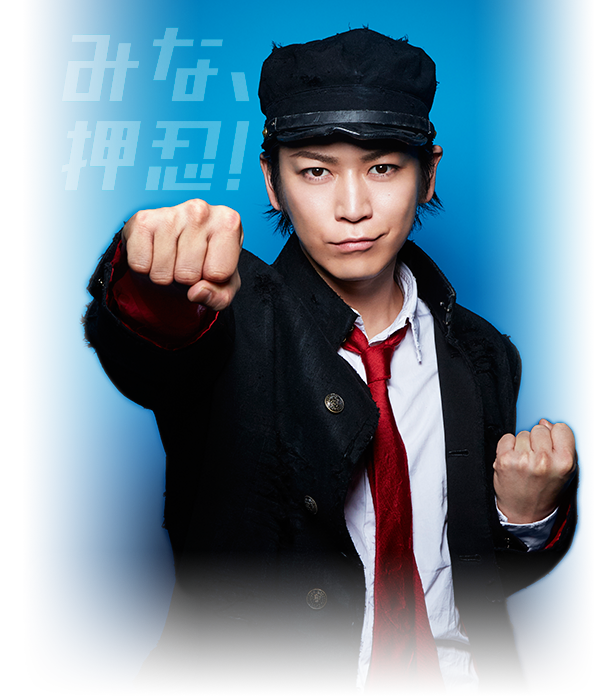 Kame from Going! Sports & News live broadcast on 10/26. 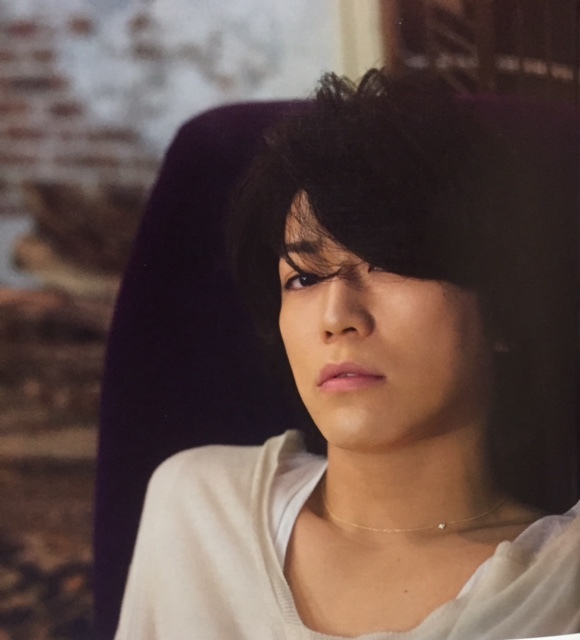 Kame from Only Star Magazine 2014/11/10 No.42-1760 Issue released on 10/31. This's related to Nippon Professional Baseball (NPB). For info, Japan Series has ended on 10/30 with Softbank Hawks clinching the title with 4 wins out of 5 games against Hashin Tigers. We have another championship. It's called 2014 Suzuki All Stars Series. * First time after an 8-years break since they had it last in 2006. * We will have a set of games between All-Star teams from North America's Major League Baseball and Japan's Nippon Professional Baseball. * There will be 8 games all together which start at Yahuoku! Dome on 11/10 and end at Okinawa Cellular Stadium, Naha on 11/20. 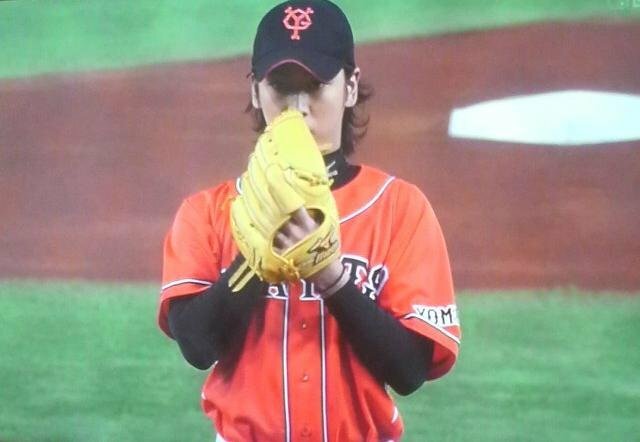 Kame will participate in one of them, throwing the 1st ceremonial pitch of the 6.00pm Japanese Professional Baseball 80th Anniversary Game on 11/11 at Hashin Koshien Stadium. 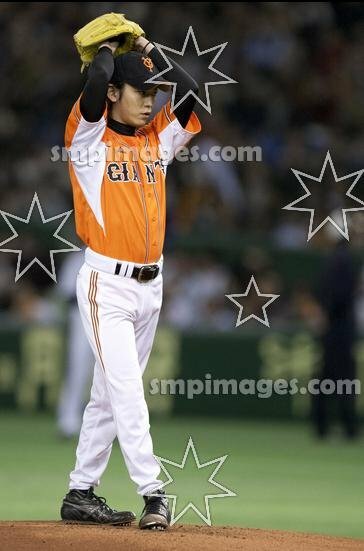 This's like a reminiscence of what happened in 2012 (pic below) when Kame pitched against Jemile Weeks who was still with Oakland Athletic at the time. I did post the 2012 event at Kame's previous thread. Since it's gone now, so I re-posted the details under the cut. 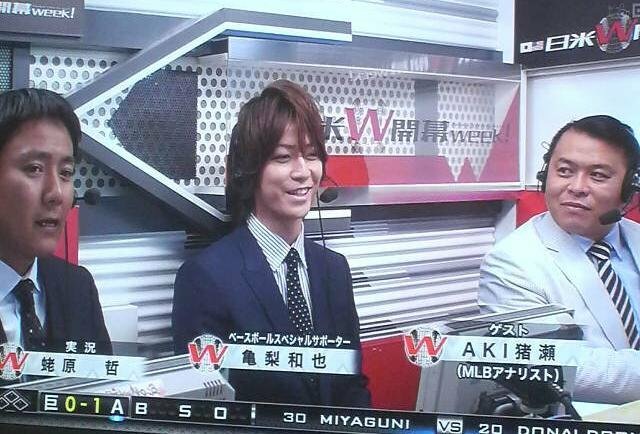 Kame joined the 2nd broadcast only, but he was at Tokyo Dome during the 1st game as well. Munerin (ex-Softbank Hawks player) who is part of Seattle Mariners now, even said HI to him HERE. There are a few reporters who updated real-time news on Oakland Athletics at Tokyo Dome via their official twitter accounts, and below are some remarks related to Kame made by them. 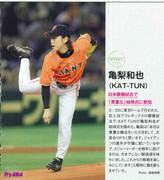 1. https://twitter.com/JaneMLB/status/1838 ... 56/photo/1 who called Kame a teen singer/actor. A 26yo teen LOL. 2. https://twitter.com/joestiglich/status/ ... 5117415425 who made the Justin Timberlake remark. 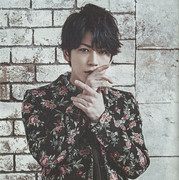 3. https://twitter.com/susanslusser/status ... 2871755777 who also described Kame as a teen-idol, and even commented on his style HERE. 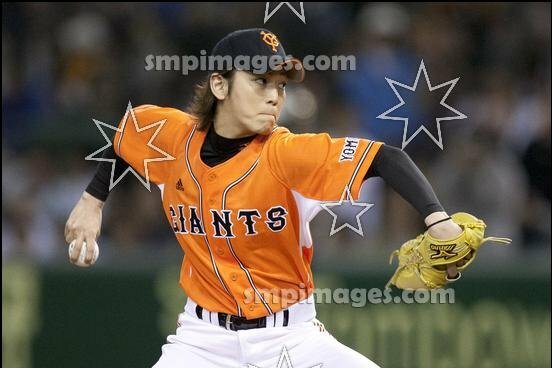 NEWS flash on Kame’s pitching updated on the same day, in Japan and his pitching pictures were surprisingly, made it into an Australian Sport blog. 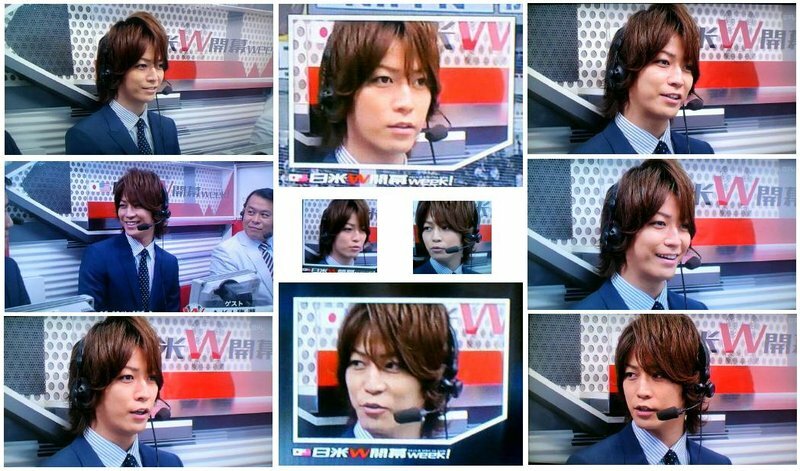 After the Ceremonial 1st Pitch, Kame joined the other guest for NTV coverage on Japan-MLB Exhibition Game Yomiuri Giant vs Oakland Athletics match which broadcast started from 7.00pm to 8.54pm. 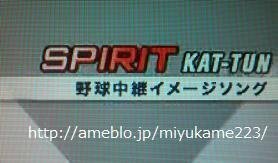 I didn’t catch the broadcast on that day, but it was said that we can hear they played “SPIRIT”, the theme song by KAT-TUN around 8.40pm. You can listen to its full version HERE. 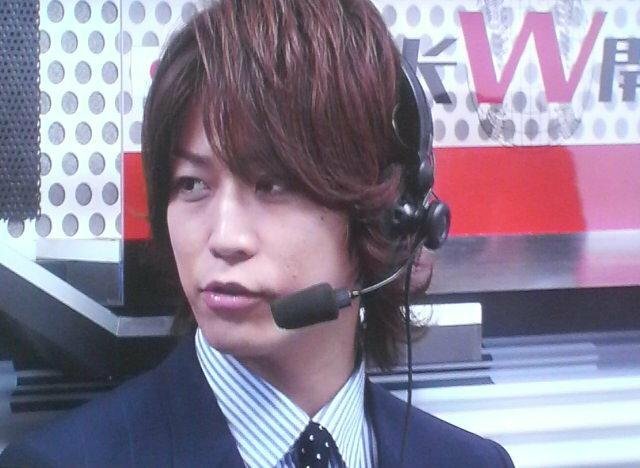 Kame in the box, doing the broadcast relay. The game will be shown on NTV on 11/11 from 7.00pm to 8.54pm. 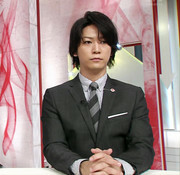 And Kame will join the broadcast as well. 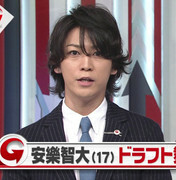 Not only on 11/11, but Kame also joined DG1844 broadcast on 11/12 and 11/14. On 11/11, throwing the ceremonial first pitch at Hanshin Koshien Stadium. On 11/12, did the broadcast from Kyocera Dome Osaka. Then, on 11/14, this time, from Tokyo Dome. 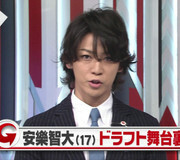 Kame will have another broadcast on 11/15 at Tokyo Dome. 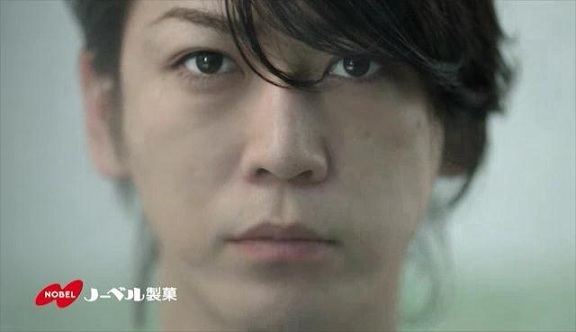 Latest Solio TVCM for Kame out on 11/20. 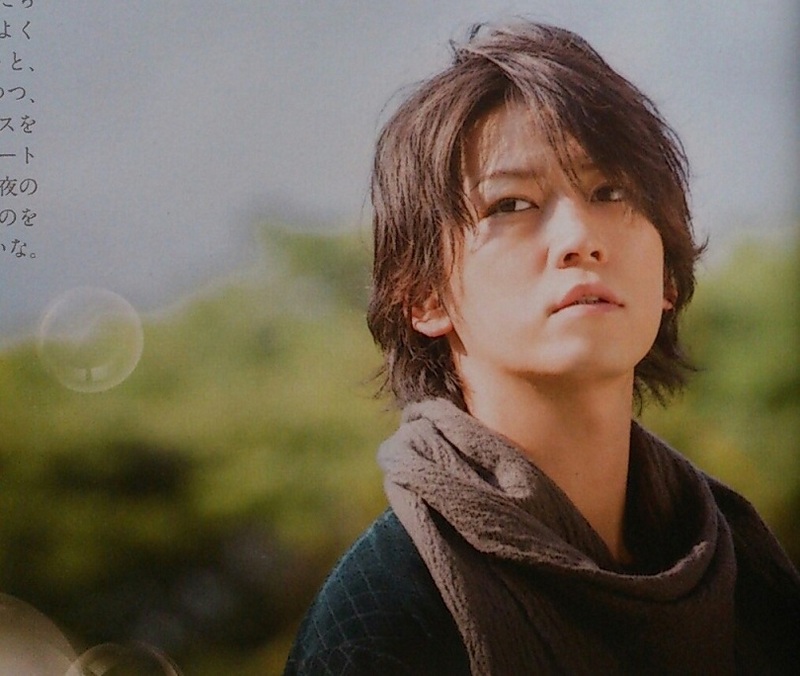 Kame from MAQUIA Magazine 2015-01 Issue out on 11/22. New trailer (1m32s) for Joker Game movie has been updated on its official page on 11/24. 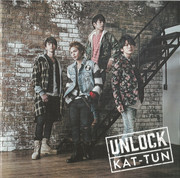 From there we can see that the theme song for the movie will be a new song called "Dead or Alive" by KAT-TUN. * The 2nd version of the movie poster (probably flyer, etc as well) will be available at cinemas starting 11/29. * The advance tickets for the movie will be on sale starting 11/29 as well. * Release at cinemas nationwide in Japan on 2015/1/31. * Release at cinemas in Taiwan on 2015/3/27. 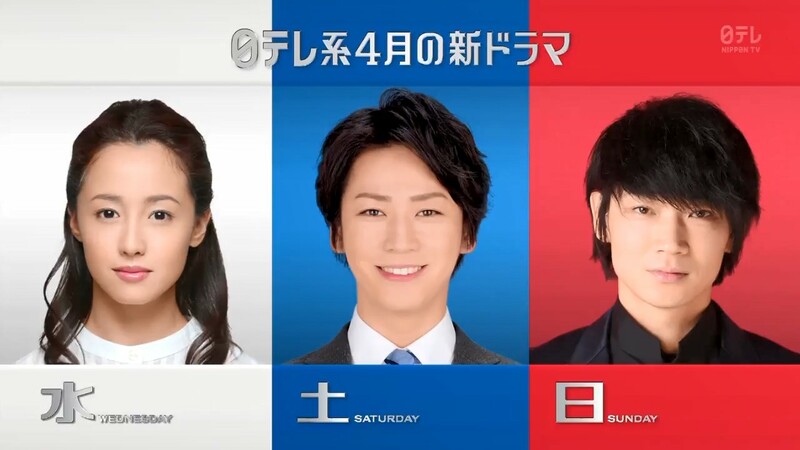 Kame will be in a drama "Second Love" starting to air on TV Asahi in January 2015. 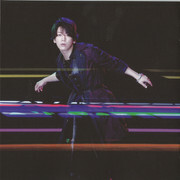 * Kame as a contemporary dancer, pursuing his dream. * Fukada Kyoko (wiki) as an older chemistry teacher at a high school. Story : Love story which see the main roles facing various hurdles such as age difference, living environment, sense of values, etc. 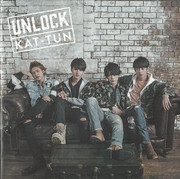 It's confirmed that KAT-TUN 23rd single "Dead or Alive" will be released on 2015/1/21 (which is on the same day of Joker Game OST release, Amazon). It will be out in 3 versions (LE1, LE2 & RE). 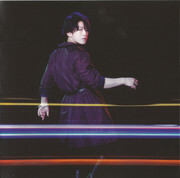 We got a solo from Kame in this 23rd single, his favourite number. Even though it's an old unreleased song, but we got a PV from him. 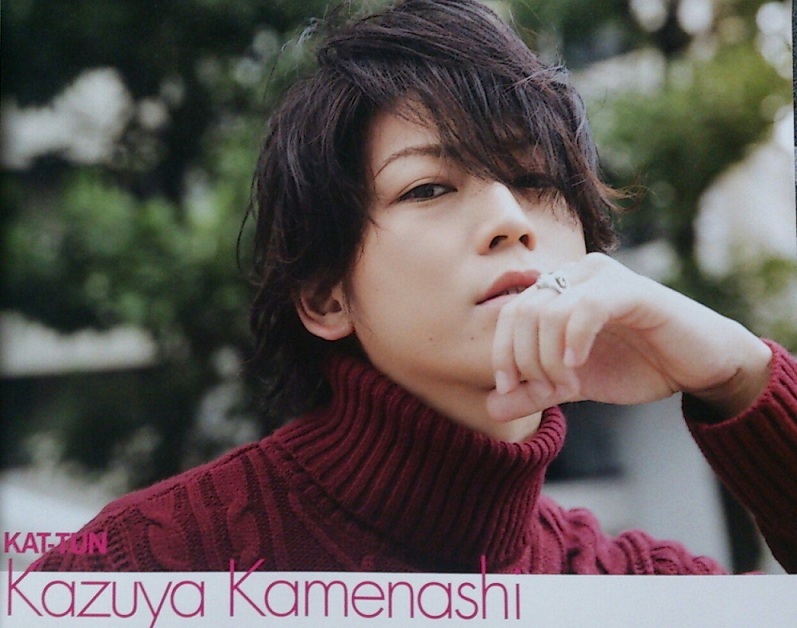 Kame from MYOJO Magazine 2015-01 Issue out on 11/22. And huge posters of Vancouver no Asahi placed near Toho Cinemas, Umeda in Osaka. More promos at the cinema. And~ advance ticket of Joker Game which is available for purchase since 11/29~! Go to link below for details. New poster at the official as well. 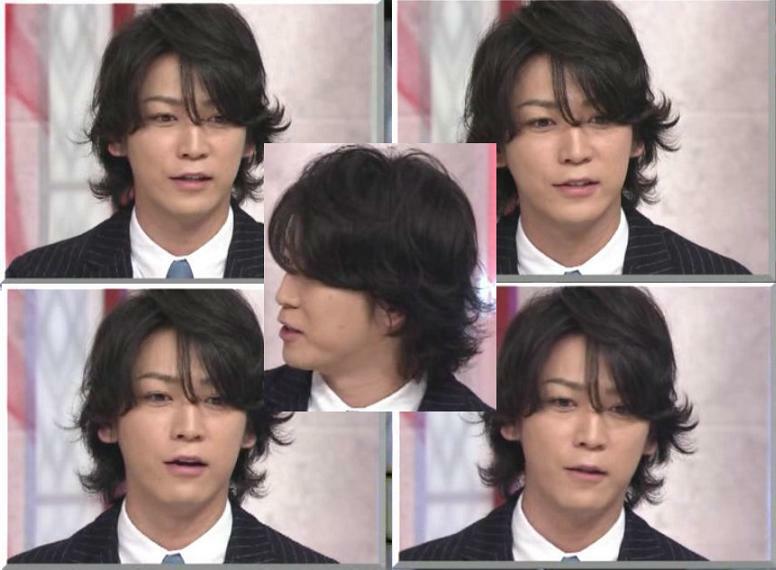 Kame during KAT-TUN live appearance on 2014 FNS Music Festival on 12/3. Kame in MAQUIA 2015-02 Issue out on 12/22. 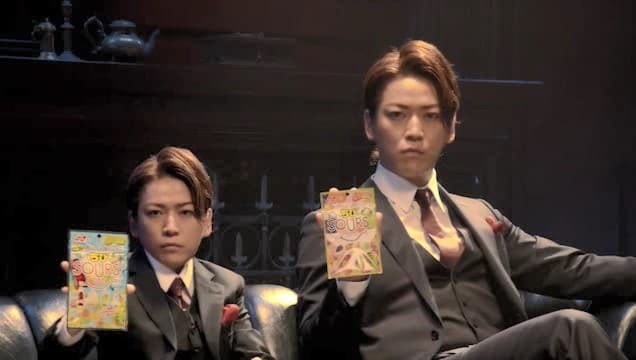 Latest Kame's SOURS Gummy CM. Can watch it at links below. 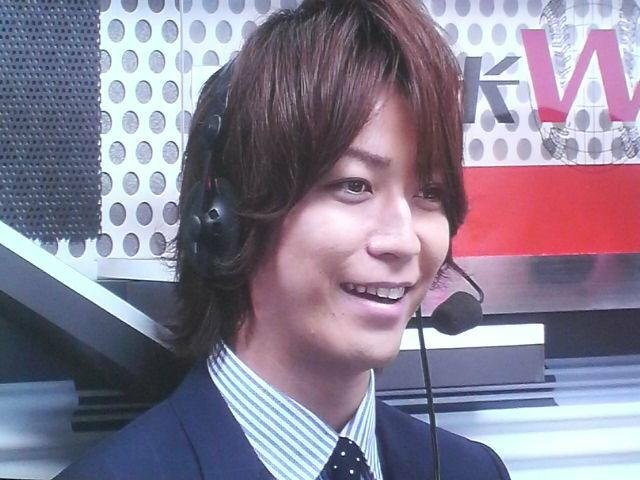 Seeing how it's Feb 23rd I just thought I'd say Happy 29th Birthday Kame~! Kame from KAT-TUN LIVE 2015 9uarter in TOKYO DOME - Original Photo Set. Click on thumbnail pictures for bigger size. 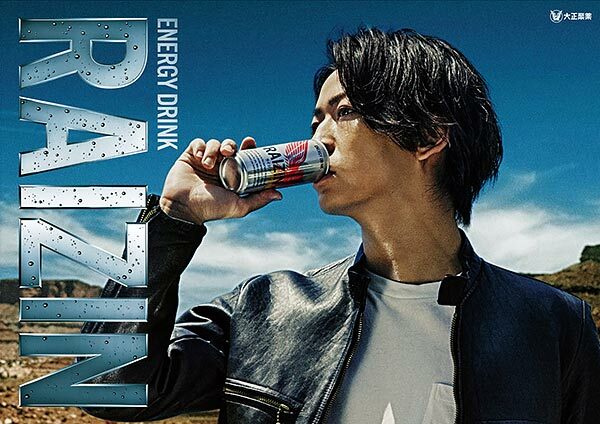 Kame's latest CM for RAIZIN energy drink. Watch at link below. 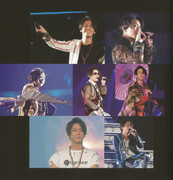 Pictures of Kame from Vancouver no Asahi Movie DVD Booklet released on 7/15. Click on thumbnail to view the actual size. 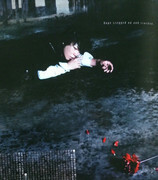 Pictures of Kame from Joker Game Movie DVD Booklet released on 8/12. Click on thumbnail to view the actual size. 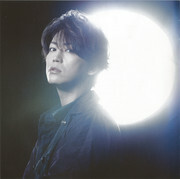 Pictures of Kame from Second Love DVD Cover, Booklet & Photos released on 9/30. Click on thumbnail to view the actual size. 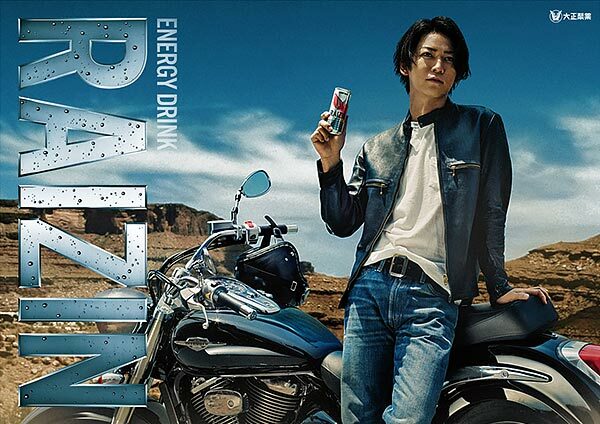 Kame's latest CM for RAIZIN energy drink up on their website on 10/1. Watch at link below. 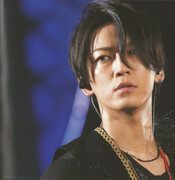 Pictures of Kame from KAT-TUN LIVE 2015 "9uarter" in TOKYO DOME DVD Booklet released on 10/14. Click on thumbnail to view the actual size. LE booklet. Click on thumbnail to view the actual size. 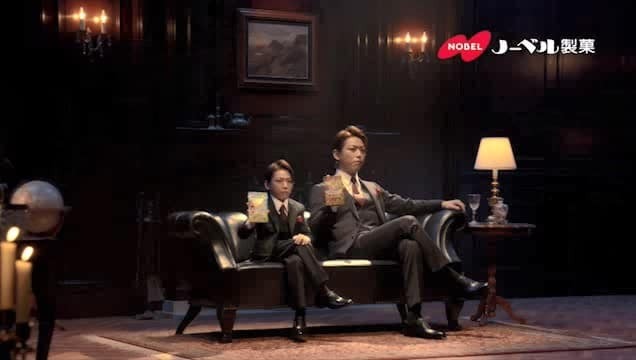 New TVCM for Kame and KAT-TUN. 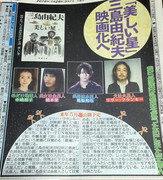 Kame will be in a new drama. Casts : Kame as Yamaneko, a genius mysterious thief which earned him a nickname of "The Rat Kid of Heisei Era". Based on Book Title : Kaitou Tantei Yamaneko (The Mysterious Thief Detective Yamaneko) by Kaminaga Manabu (site). Story : The genius mysterious thief who uncovers an evil deed while committing a theft brilliantly. 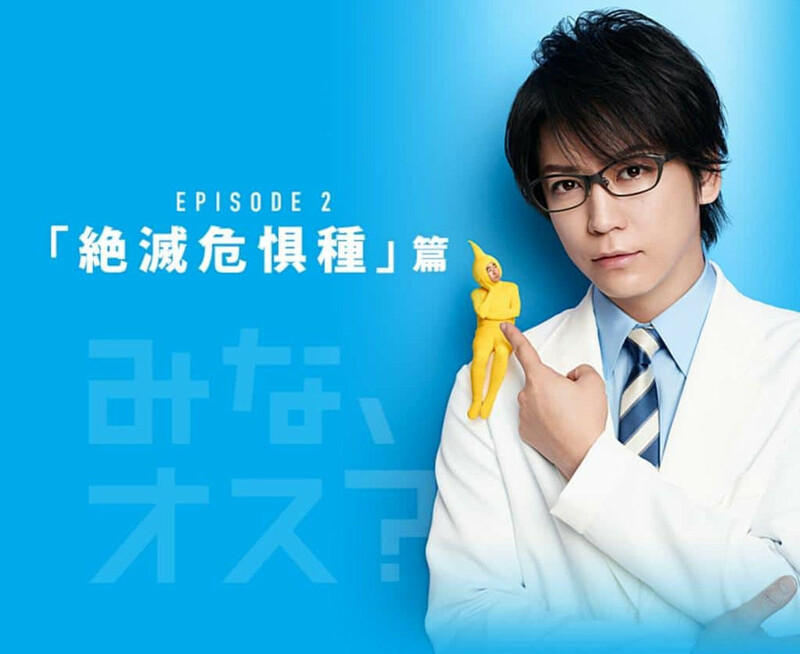 Kaitou Yamaneko 1st episode start on NTV on 2016/1/16. Kame from his latest TVCM ReBoot "Bijoude", a jewelry brand. Watch the CM on their website below. Wow! I thought this thread was dead until I decided to come here again. So happy to see these updates. Thank you. 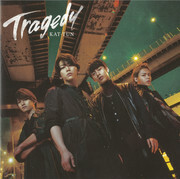 Pictures of Kame from KAT-TUN 25th single "TRAGEDY" Booklet released on 2/10. Click on thumbnail to view the actual size. 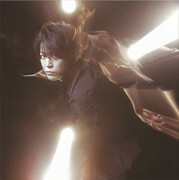 Pictures of Kame from KAT-TUN 26th single "UNLOCK" Booklet released on 3/2. Click on thumbnail to view the actual size. Kame will be in a new movie. Author : Based on the novel by Yukio Mishima (https://en.wikipedia.org/wiki/Yukio_Mishima), which comes close to science fiction. Filming Duration : From middle of March till end of Apr, 2016. Story : The Osugi family, characters in this novel, believe themselves to be aliens, who come from another planet, assigned to protect the Earth. Father : Lily Franky / Nakagawa Masaya (http://wiki.d-addicts.com/Lily_Franky), as Osugi Juichiro. Mother : Nakajima Tomoko (http://asianwiki.com/Tomoko_Nakajima_(1971), as Osugi Iyoko. 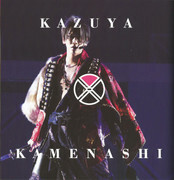 Son : Kamenashi Kazuya, as Kazuo Osugi. Daughter : Hashimoto Ai (http://wiki.d-addicts.com/Hashimoto_Ai), as Osugi Akiko. Purchase links for the novel. 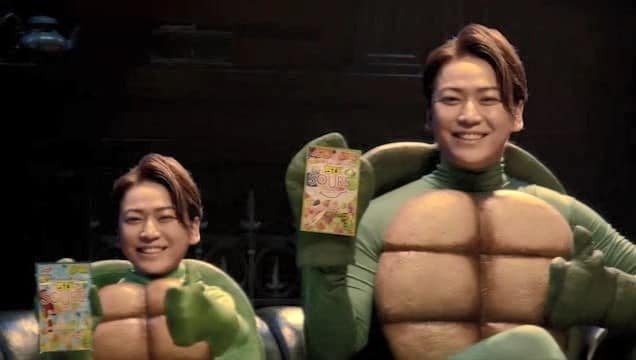 Kame's latest CM with Making of, for RAIZIN energy drink up on their website on 4/1. Watch at link below. Kame will be in another new movie. Kako, a 16-year-old high school girl, goes to a mixer pretending to be 22. While there, she meets Kouta who at first has a very intimidating aura. But once he saves her from an awkward situation, she wants to know more about him as does he. That is until he finds out she isn't 22. The next day Kako runs into him again, but this time he's working as a police officer. Kako still wants to get closer to Kouta, but he isn't interested...or is he? Genres : Comedy, Drama, Romance, School Life, Shoujo, Slice Of Life. Filming Duration : Starts in June 2016. 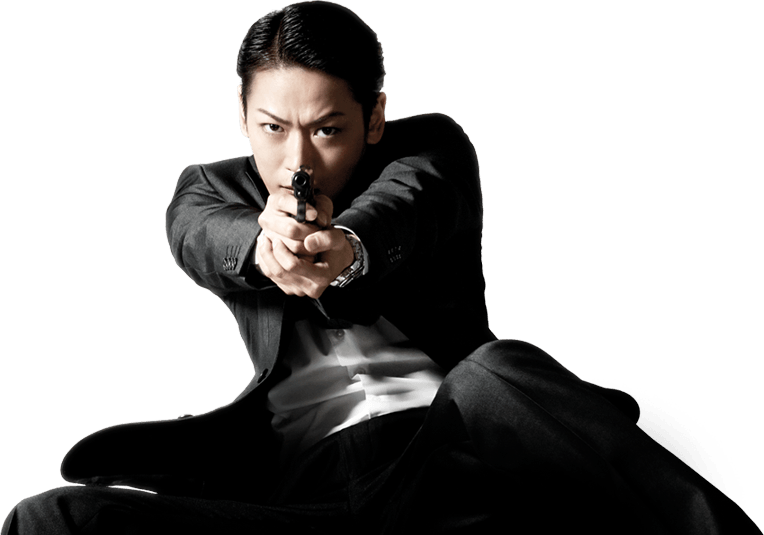 Casts : Kamenashi Kazuya in a starring role as the policeman, Sagano Kota and Tsuchiya Tao as the high school girl, Motoya Kako. Based on manga by : Miyoshi Maki. Director : Hiroki Ryuichi whose work include April Bride and Strobe Edge. 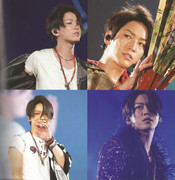 Pictures of Kame from KAT-TUN 10th Anniversary Live Tour '10Ks!' 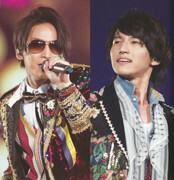 3-Dome Tour goods on sale during their performances from 4/2 (presale) in Nagoya Dome till 5/1 in Tokyo Dome. 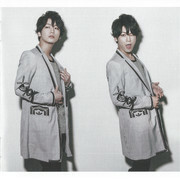 I will keep on adding Kame's pages once I finished scanning them. Click on thumbnail pictures to view in original size. The Reboot Bijoude Jewelry brand, for which Kamenashi is a commercial character has released jewelry designed by Kazuya Kamenashi, on sale from 6/5. The new set is suitable for summer. 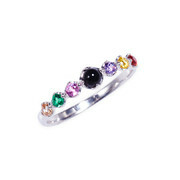 "I focused on creating colors and shapes that would suit not only women, but men as well. I wanted to make bright and happy designs that would fit with the summer. Try some for yourself and you're sure to have a dazzling summer!!" 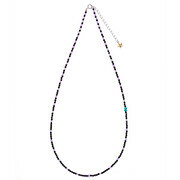 Just as he says, the jewelry designs are perfect for summer. Please check them out! The existing TVCM with a minor change at the end of it is available for viewing on their website at link below. 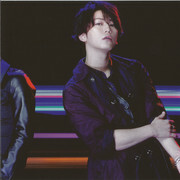 Also new picture of Kame there is luv~! There's also a campaign "PRODUCED BY KAZUYA KAMENASHI Bijoude Jewelry Campaign 2016" going on. * Application Period from Jun 5, 2016 to October 31, 2016. 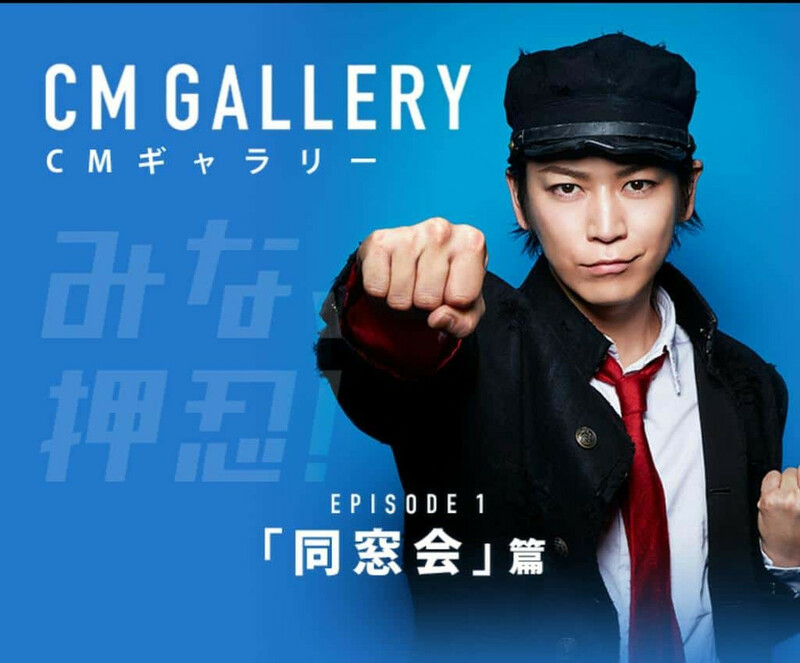 Latest Kame's RAIZIN TVCM UP on its website on 7/1. Win 5,000 prizes by joining the "2nd RAIZIN GREEN WING Promotion" sales campaign from 7/15 to 9/15. + 475 minutes main story in 5-disc DVD and Blu-Ray Box of all 10 episodes. 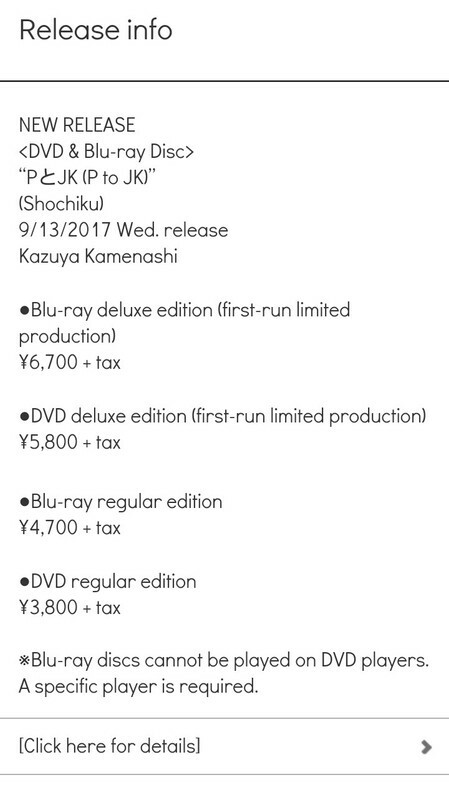 + Bonus footage in 1-disc which include the making of, cast interview, PR spot and Privilege images of celebration of Kame and Sasaki Kuranosuke birthdays. + 24P of Booklet with Yamaneko Fashion & Disguise Collection. + Early bird pre-order bonus will get a free hand towel & Special Limited postcards. Purchase links via CD Japan. 3P of Special Limited postcards. Last edited by ldgchiaki on Sep 16th, '16, 05:07, edited 2 times in total. 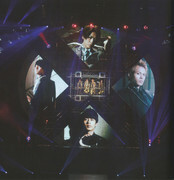 * 2-disc 201 min DVD set (KAT-TUN 10th Anniversary Live Tour '10Ks!' 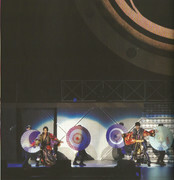 @ Tokyo Dome) + CD (Brand New Stage). * 10Ks! Premium Package Specs. 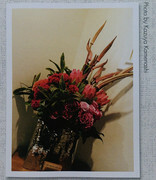 * Special Photo Book (124 pages) enclosed. 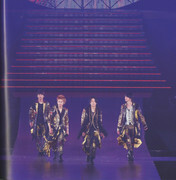 * 2-disc 201 min DVD set (KAT-TUN 10th Anniversary Live Tour '10Ks!' 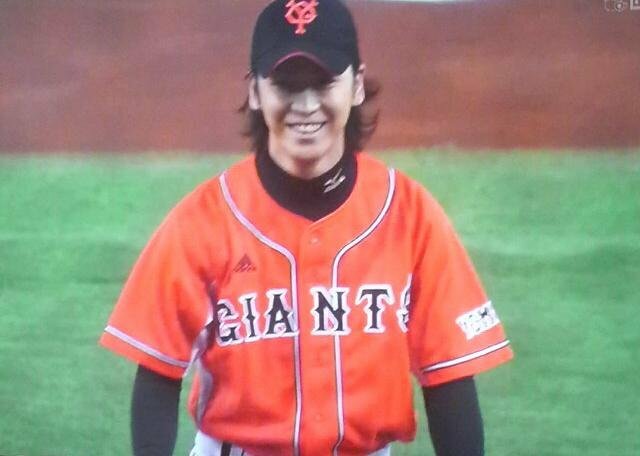 @ Tokyo Dome). First 30P out of total 124P photobook scan below. Click on thumbnails for actual size. Will continue to add the remaining pictures once I've finished scanning them. Next 10P of the photobook, making it 40P scanned so far. Click on thumbnails for actual size. Will continue to add the remaining pictures once I've finished scanning them. 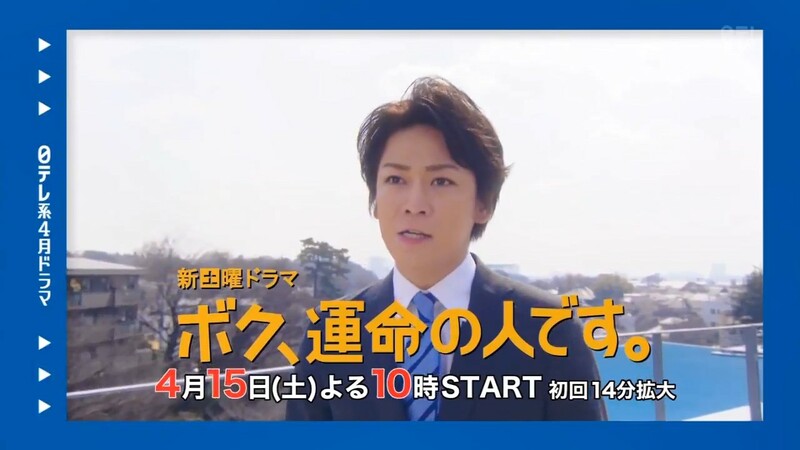 New CM endorsement for Kame. Hoken Minaoshi Honpo, insurance company. 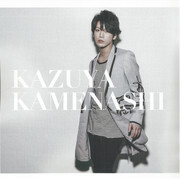 Latest Kame's RAIZIN TVCM UP on its website on 12/8. 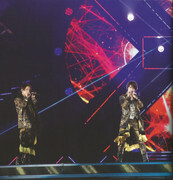 Page 40 to Page 124 of the KAT-TUN 10th Anniversary Live Tour '10Ks!' photobook. ~COMPLETE~ Click on thumbnails for actual size. 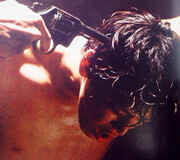 Putting the links to the latest movie trailer starring Kame. 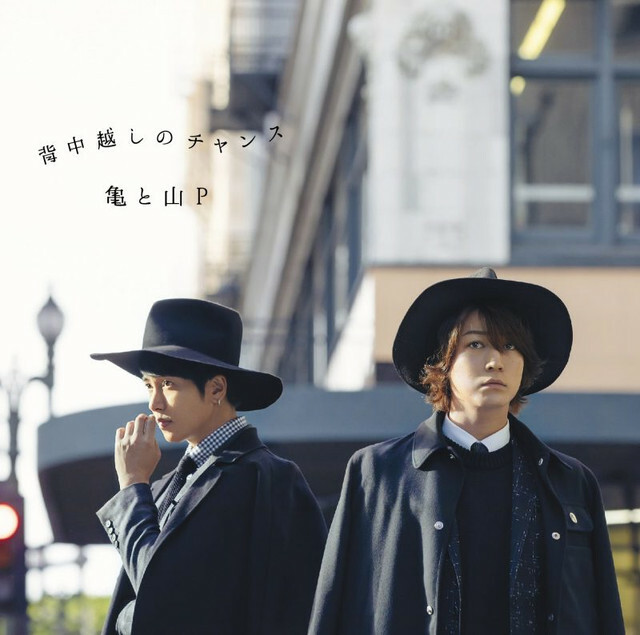 "P & JK" movie out on 3/25. "Beautiful Star" out in May 2017. 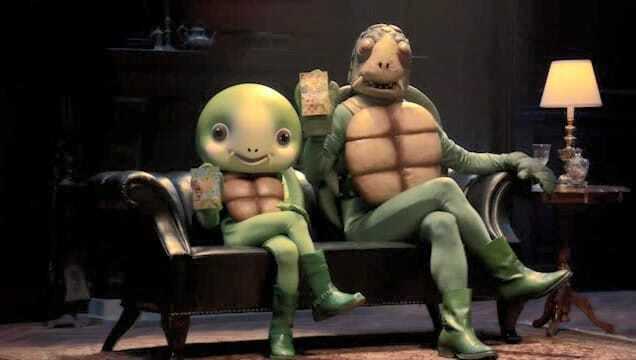 And latest Hoken Minaoshi Honpo TVCM featuring Kame. 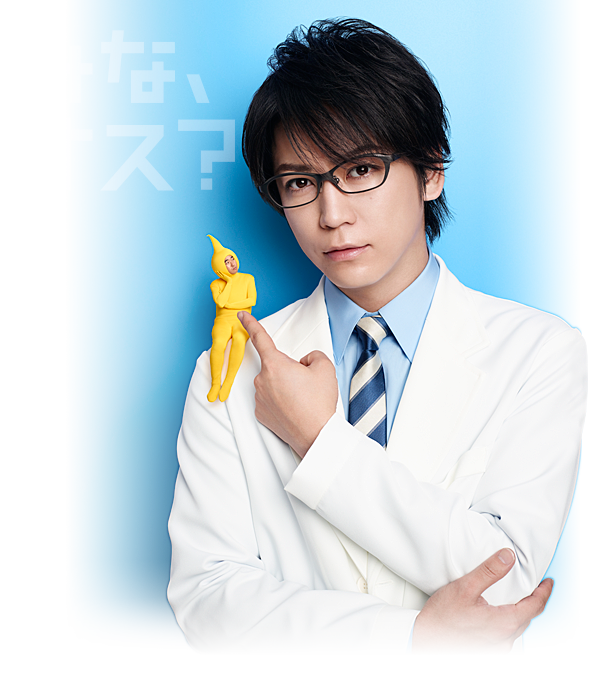 Latest Nobel SOURS Gummy TVCM 「Two Kamenashi-kun」 Edition updated on its homepage on 1/21. It also in collaboration with "P & JK" movie for a campaign to win prizes from 1/21 till 2/28. 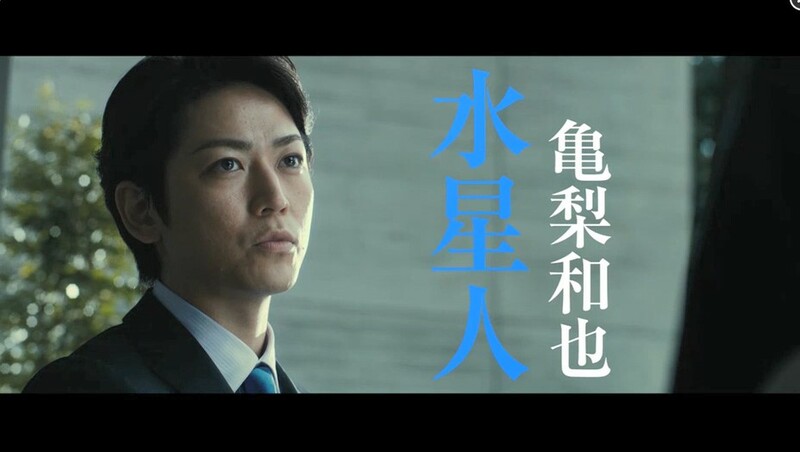 On 2/1, the homepage for Kame's Hoken Minaoshi Honpo CM endorsement finally updated with its CM Gallery. 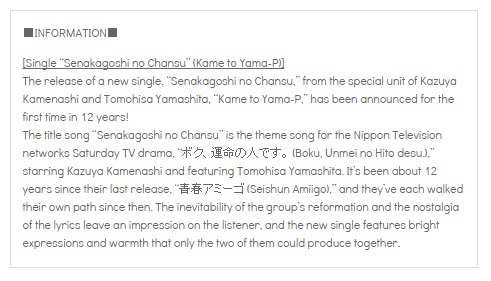 It was announced on 2/18 that Kame will be on a drama again. Yay~! 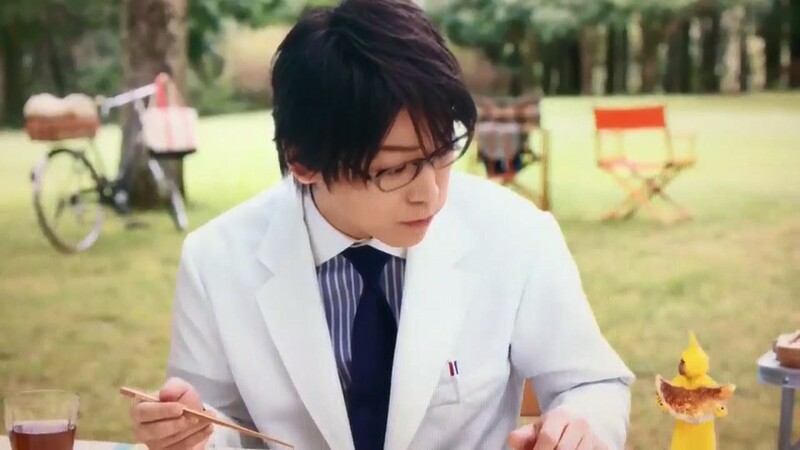 Casts : Kame as Masaki Mokoto who believes in "fate" and will keep pursuing the woman that he believes is his destiny, relentlessly, even though being rejected again and again. Kimura Fumino as Haruko, the heroin who doesn't believe in "fate". She is realistic, aiming to find love that is a relief or peaceful and safe or secure. 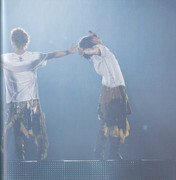 The love of these 2 people developed greatly by the existence of Yamashita Tomohisa who refers himself as "God". 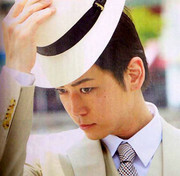 He'll play the mysterious man who preaches the meaning of "destined love" to Masaki. Screenwriter : Kaneko Shigeki whose work include Sekai Ichi Muzukashii Koi (NTV, 2016) and Kyo wa Kaisha Yasumimasu (NTV, 2014). 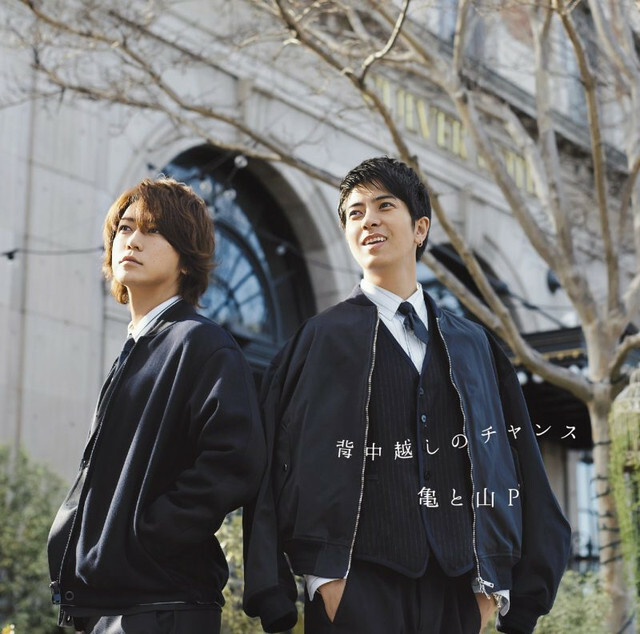 * Kame & Yamashita to co-star and sing the theme song together as a special unit, 12 years after their first collaboration in 2005 NTV Saturday 9pm drama, "Nobuta wo Produce". * This will be the first drama to be shown on the new time slot NTV Saturday 10pm, which has been changed from the original time slot 9pm for the last 29 years, a slot producing a lot of hit dramas . 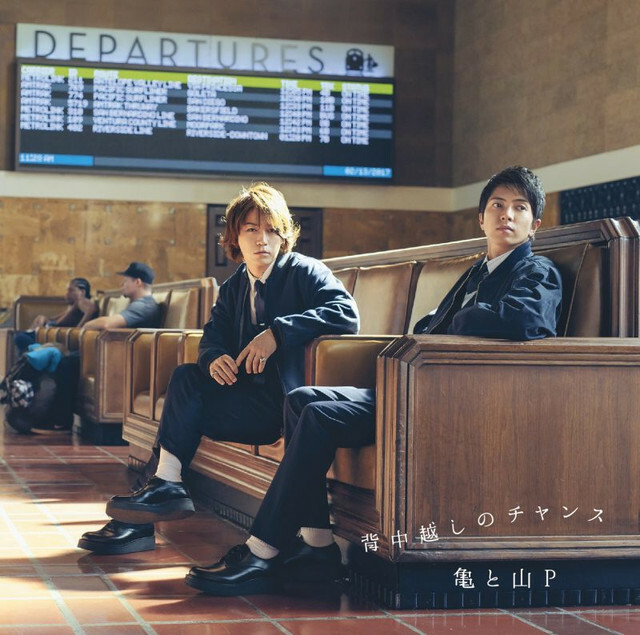 * For "Nobuta wo Produce", Kame and Yamashita sang the theme song "Seishun Amigo" under the special unit "Shuji to Akira". It's a hit sold 1.626 million copies. 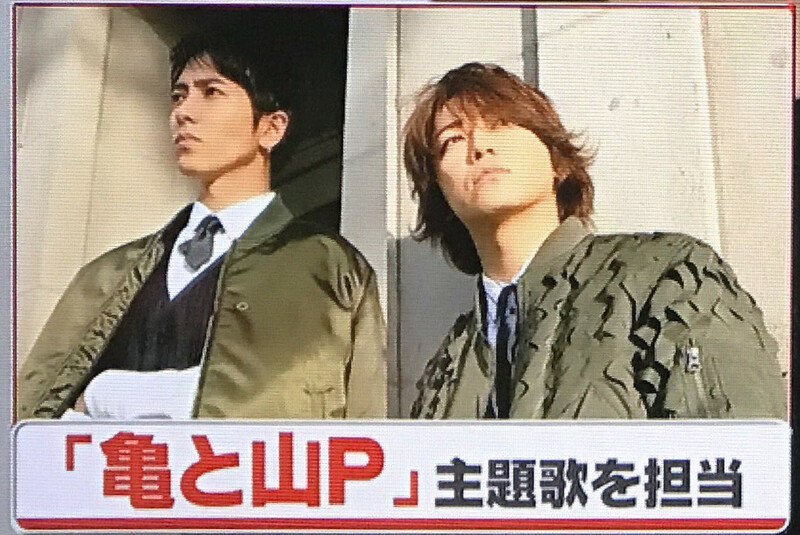 * This time, both will be in a special unit under the name "Kame to YamaP" and in-charge to sing the theme song (title to be decided) for this new drama. Happy 31st Birthday Kame. Please be happy and healthy always. 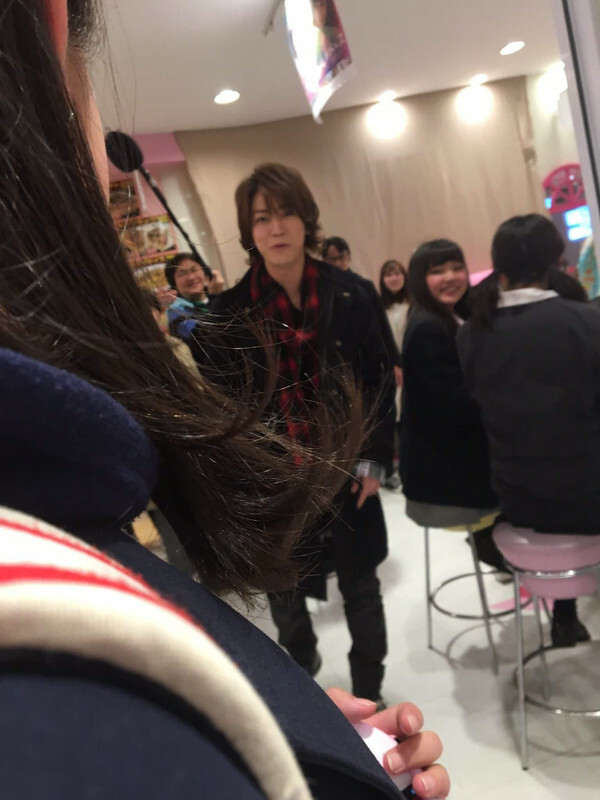 Latest Kame's picture was the one from yesterday, 2/22, when he was sighted filming in Harajuku. The first on the list for him to promote this year is "P & JK" movie out in cinemas in Japan on Mar 25, 2017. After that, would be his drama "'Boku, Unmei no Hito desu' starting in April 2017. Then, his another movie "Beautiful Star" out in cinemas in Japan on May 26, 2017. "Boku, Unmei no Hito desu" drama will start airing on NTV on April 15, 2017 from 10pm. The first episode will be 14 minutes longer than usual. 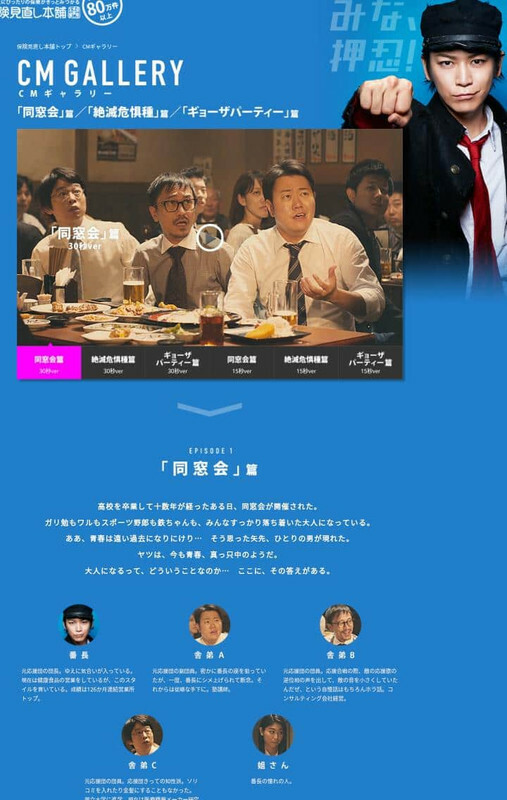 "P & JK" homepage updated with a new trailer for the movie, which will be in cinemas in Japan on 3/25. This time, it's a collaboration between P & JK Movie x Comic x Marry You song by Bruno Mars. 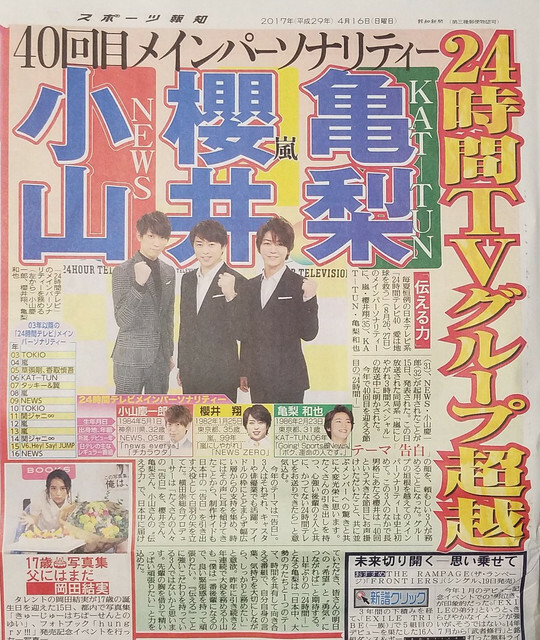 Kame, Sakurai & Koyama as 2017 40th NTV "24-Hour TV" Main Personality. It will be on 8/26 to 8/27. M7. Original karaoke track SUPER FUNKERI!! First-run limited edition 1, first-run limited edition 2 and the regular eidition each have their own cover designs. KAT-TUN Kazuya Kamenashi Concert Tour 2017 "The First ~Follow me~". Originally announced for 38 shows, then on 5/25, they added 5 more making it 43 shows all together from 7/13 till 10/30.